In a country where incompetent men, who are popular among illiterates and thugs that are ready to kill for them, are the ones getting into positions of authority, this is the mess you get. 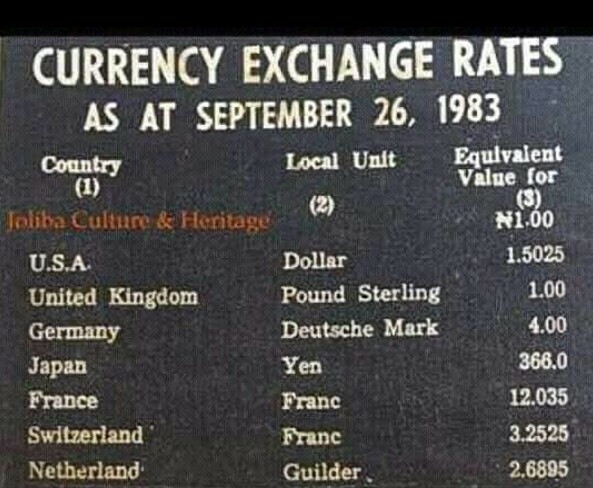 Just image the difference between our Naira and the Japanese currency in 1983 before the Military Coup. Nigeria, sorry our leaders failed you.